Okay, a small measure of vested interest – two of my short stories have appeared in these volumes – but I don’t stand to profit from sales and neither of my contributions is remarkable. My recommendation is motivated not by shameless self-promotion but by the excellent and varied company in which those two little pieces find themselves. Issue 4 of Blue Crow Magazine comprises thirty-six short stories by authors from around the English-speaking world. Edited by Andrew Scobie and published by the Blue Crow Press, Sydney, Australia, it is a beautifully-produced 288-page book, the cover and layout a tribute to the quality of Matthew Ward’s design. There is one melancholy aspect of this publication: New Zealand author Geoff Bolton, whose story Risk is included in the collection, passed away at the age of seventy-four while the book was in production. Blue Crow Magazine Issue 4 would be worth buying for Geoff’s story alone. But many of the other contributions are of comparable quality, and the range is remarkable. Some of the stories are traditionally structured while others verge on the avant-garde; they cover a variety of subjects and genres; some are sad, some disturbing, some amusing, some all of these things and more. The first item in the book is a short and characteristic fable by my old friend Boris Glikman and the last – apart from the tongue-in-cheek Silent Story by Justin Bridges – is another short piece, Finding Hummus in the Fridge by Alun Williams, an unsettling first-person narrative with a twist in the tail. To pick out any one of these stories for special mention is invidious, because most of them could merit such selection, but if you’ve ever been close to a woman going through menopause you’ll find Karen Robiscoe’s highly imaginative PMS Dia-Tribe outstanding. Karen’s story is both hilarious and well-observed. I loved it. 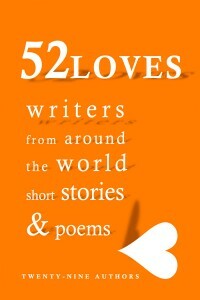 At last, the paperback version of 52LOVES: writers from around the world short stories & poems is available for purchase. The contributions of twenty-nine authors from all over the world have been collected and edited by Yolanda Christian, who is also responsible for the design and typesetting of the book, which can be purchased via Amazon.co.uk. The cover design was inspired by Simon Marriott. Again, there is great variety, and no two of the fifty-two items in the book seem to interpret ‘love’ in the same way. Genres range from straightforward romance to historical and social commentary to science fiction. The first item (“Week 1”) is a highly original twist on the theme of loss and regret, the short story X-X by UK author Liam Hogan, and the last (“Week 52”) is the gently melancholy poem Adieu by Indian author Parveen Sethi. As in the case of Blue Crow Magazine, it would seem invidious to select any one story or poem for special mention, but I was particularly moved by a story called Ma by Hong Kong author Wing-Ho Lin, which examines various aspects of ‘love’ from the point of view of a foetus in utero, and the gritty The Dangerous Edge of Things by Irish author Ferron Anderson, set in Northern Ireland during the ‘troubles’ of the 1970s. I’ve bought copies of both books and I’m gradually relishing more and more of their contents. Both are excellent value for money. If you’re looking for Christmas presents for friends or relatives who enjoy good literature in well-produced volumes at reasonable prices, you now have my recommendations! 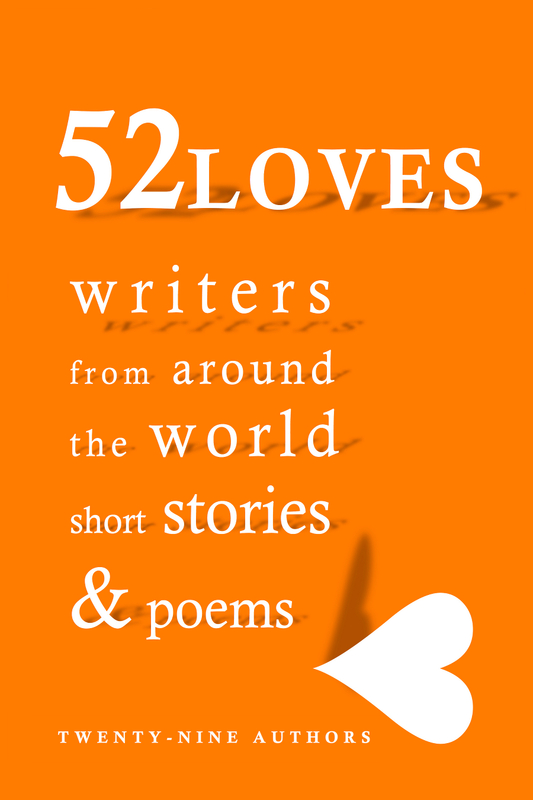 Mark’s contribution to ‘52LOVES: writers from around the world’ is a short story called ‘Eye of the Beholder’. It’s so convincing that you’d be forgiven for thinking it’s a story taken straight out of his own life, but . . . he assures me it isn’t. The main character is a painter, who comes across a past love on a snowy cold Valentine’s Day. The story certainly had me. I found the ending poignant. Mark also takes a good photo. 52LOVES profiles each writer from around the world, and there’s a handsome mugshot of the man himself. That only leaves me to say that I’m going to give my first public reading of 52LOVES in London Borough of Southwark this week. I’ll let you know how I get on.